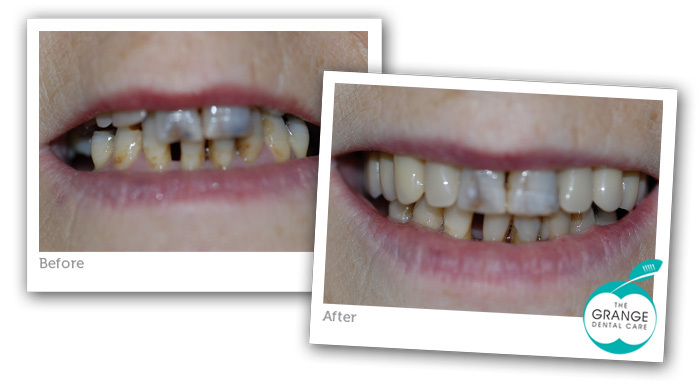 (Before) This mature lady had very few of her teeth remaining and most of what was left were in poor condition. Her 2 front top teeth were decayed and the rest of her top teeth were replaced by a longstanding denture. This was now not fitting well and had ‘sunk up’ so that the 2 front teeth looked very prominent. Her bottom front teeth were decayed and had pushed up and were very uneven. She did not wish to loose any of her teeth.